We provide cat sitting in Banstead, Belmont, Burgh Heath, Cheam, Chessington, Ewell, Epsom, Epsom Downs, Hook, Morden, Stoneleigh, Sutton and Worcester Park. 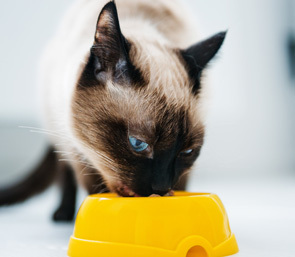 Our daily cat feeding visits allows your cat to stay in their own home. One of our dedicated pet sitters can come in once or twice a day to feed your cat, and provide playtime and company. If you have to go away from home our daily cat feeding service is ideal if your cat prefers their own home environment. We aim to keep your cat’s routine the same and we have noticed that cats are more content and happier than in a cattery when their Pawgeous Parents return home.